In October I attended a special event on board Princess Cruises’ Sapphire Princess in Southampton. This was my first time on a Princess Cruises ship, although I have admired them from afar for some time. 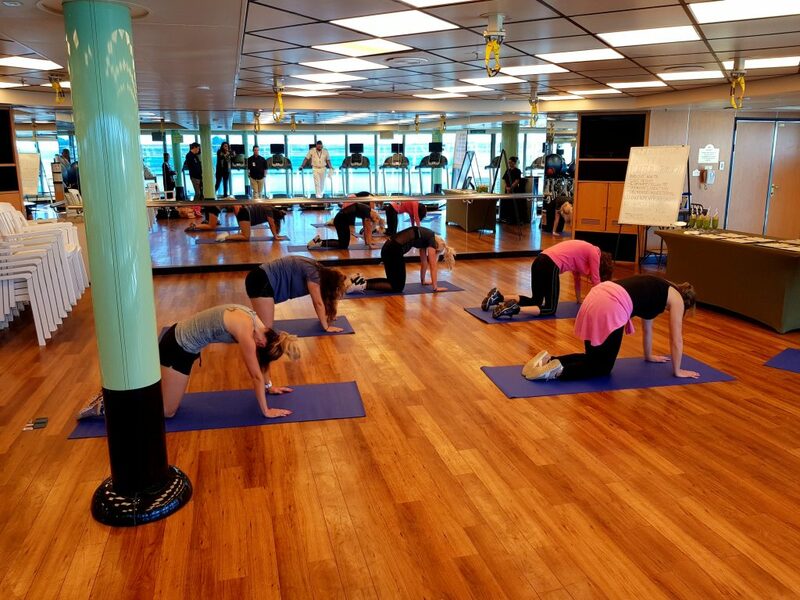 The event showcased the ship’s health and wellbeing facilities, demonstrating that there are plenty of ways to stay ‘ship shape’ on a cruise. 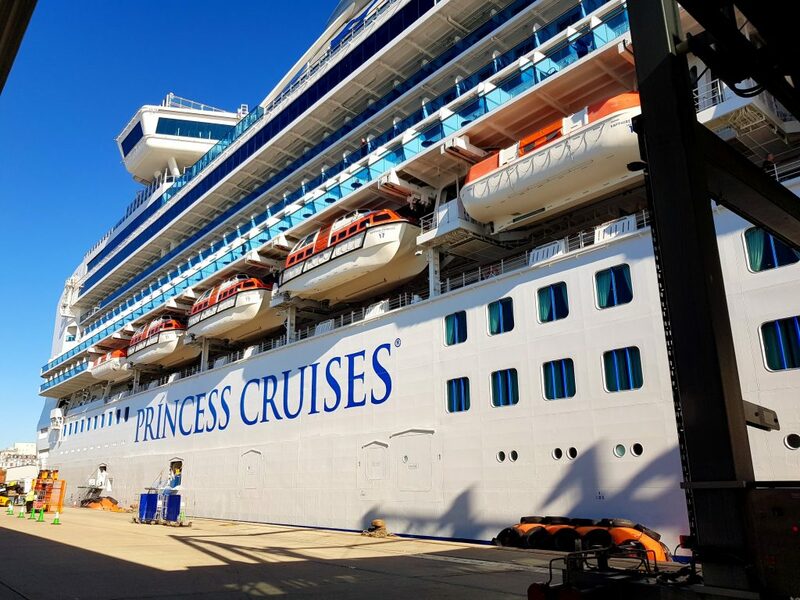 I’d heard lots of positive feedback about Princess Cruises before stepping aboard, so I was intrigued to look around one of their ships for the first time. 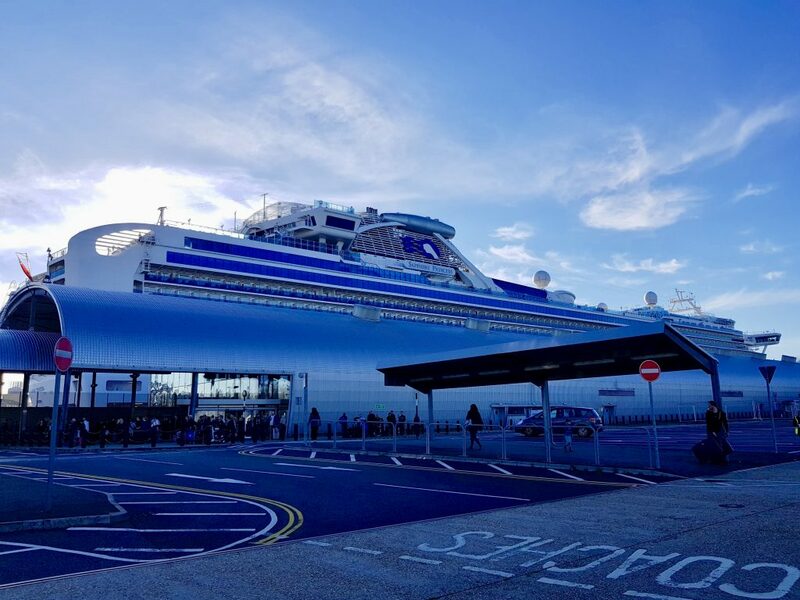 As a seasoned P&O Cruises passenger, Sapphire Princess felt extremely familiar to me as her design is very similar to the P&O Grand Class ships Azura and Ventura (although not identical). She was built in Japan by Mitsubishi Heavy Industries in 2004 and she is the sister ship of Diamond Princess. 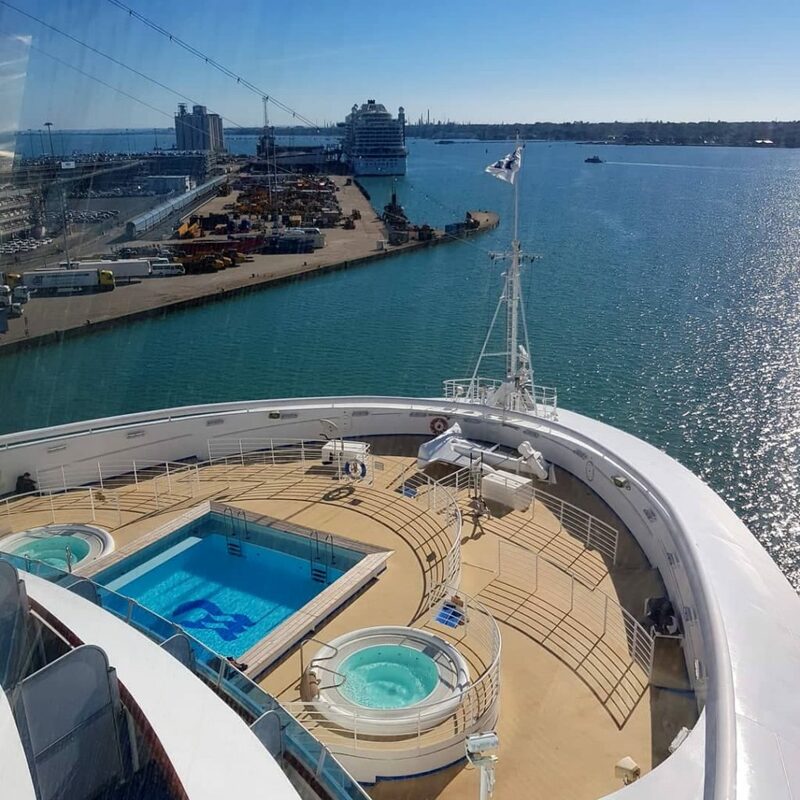 The ship carries 2,670 guests and 1,100 crew and she was refurbished in March 2018. The first thing that struck me was the warm, friendly atmosphere that flows throughout the ship. Her atrium (the Piazza) is very tasteful and was well used by guests. 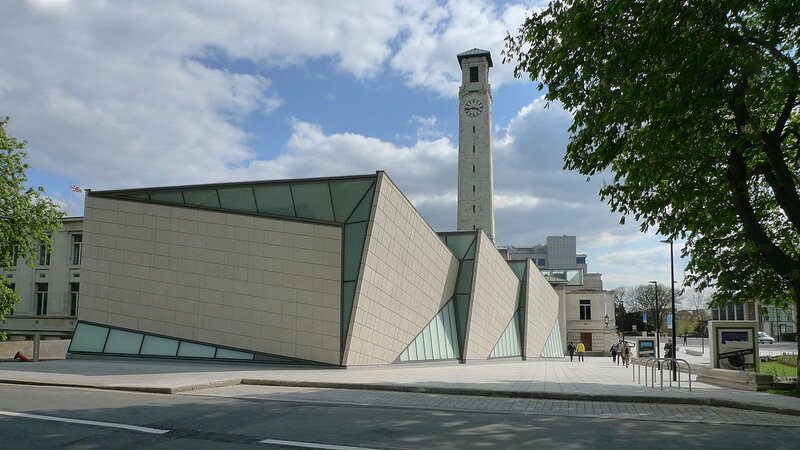 It spans three decks and has a number of cafés, bars and shops that open on to it. At night it comes alive with entertainment, from classical recitals to live bands. The Piazza’s décor consists of tasteful wood effect panelling, pale tiles and glass. 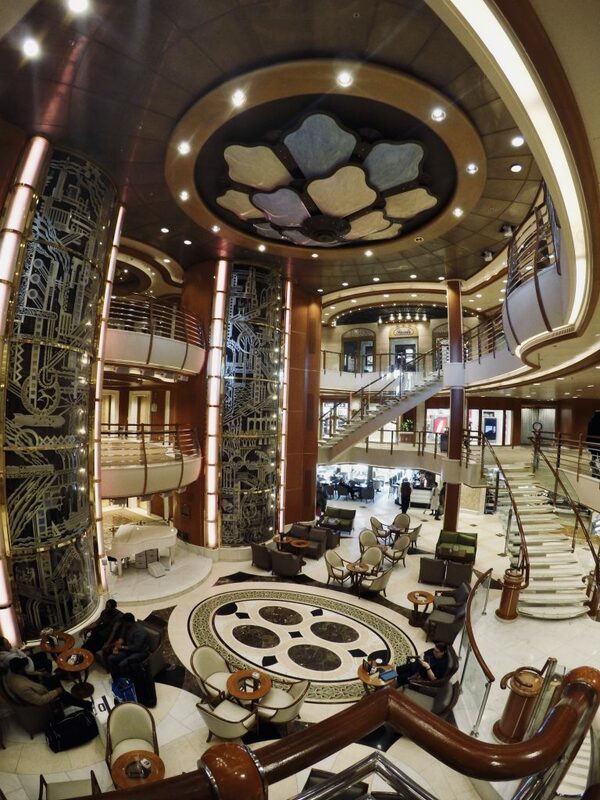 It reminded me of Oceana’s atrium – the former Ocean Princess ship. Guests can choose from the following accommodation options: Suite, Club Class, Mini-Suite, Balcony, Oceanview, Interior, Family Suite and Wheelchair Accessible rooms. 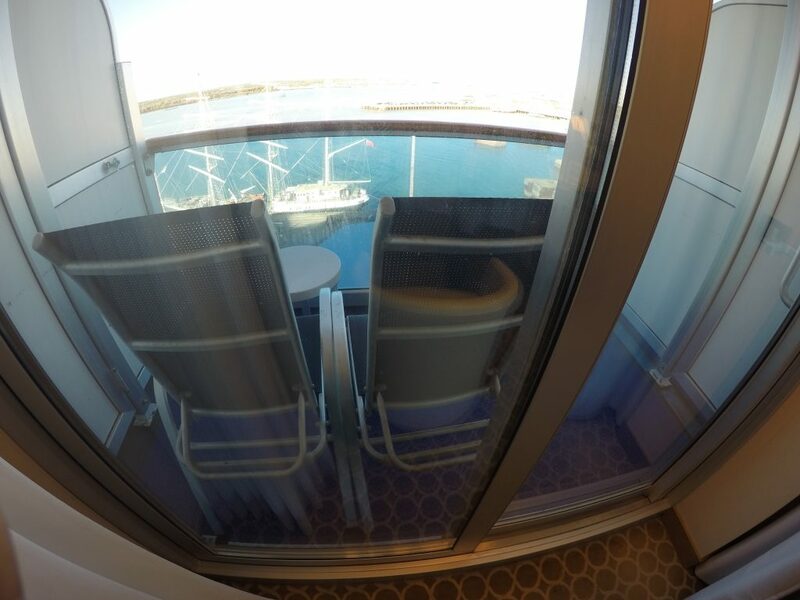 We had a look around a Balcony grade stateroom. 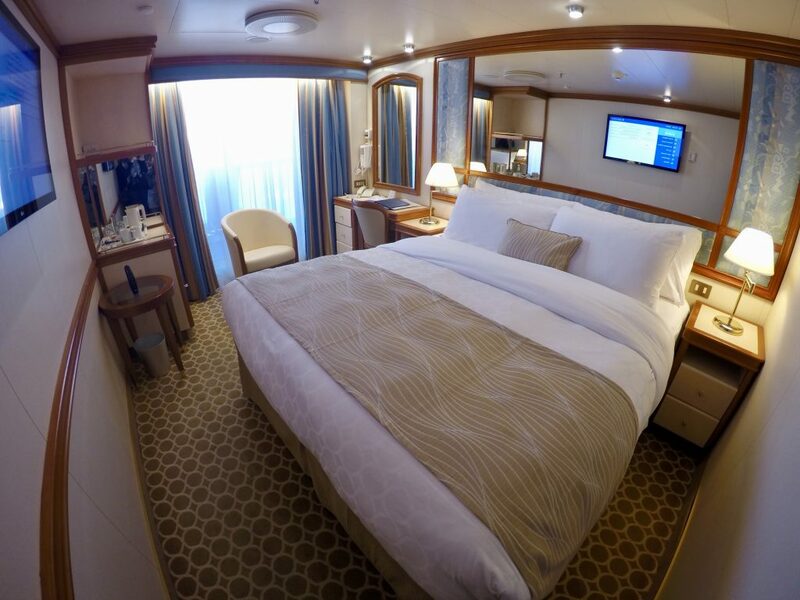 Princess Cruises have really thought about the importance of sleep on holiday and they have invested a lot of money installing scientifically engineered mattresses and bed springs designed by the Sleep Doctor, Dr Michael Breus. I was impressed with the luxurious quality of the bedding and the comfort of the mattress in the stateroom we looked in. It was far superior to many beds I’ve seen on other ships. Princess have also thought about other ways to aid sleep, such as a sleep function on the TV (which allows you to select music to sleep to), which can be set on a timer. 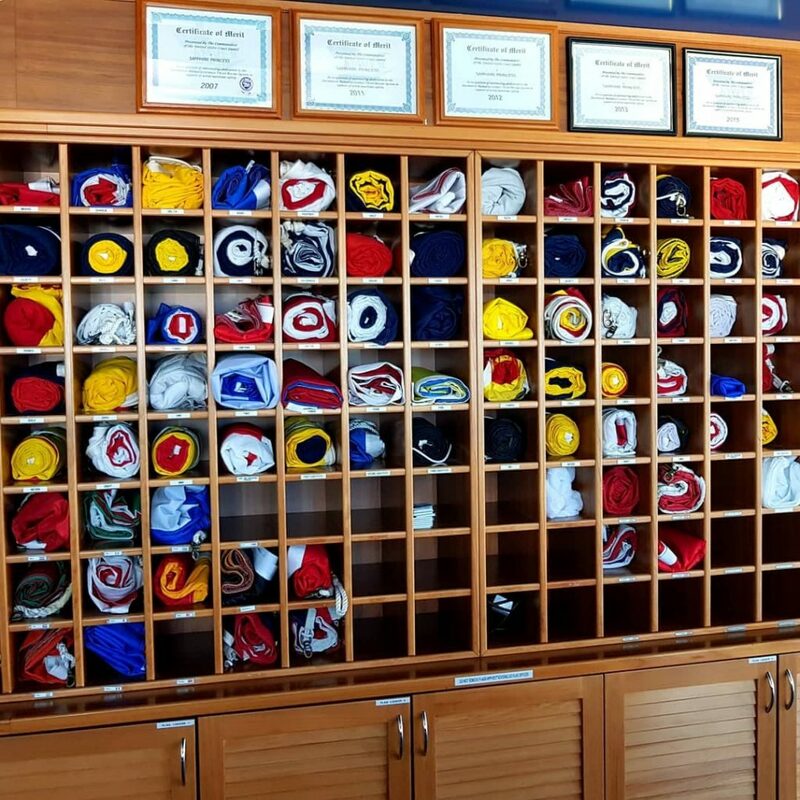 There is also a pillow menu, eye mask kit and mattress options available online, pre-cruise, for an additional fee. The stateroom had tea and coffee making facilities, something exclusive to Sapphire Princess. The balcony was quite compact but there was enough room for two chairs and a small table. A full list of accommodation options can be found here. 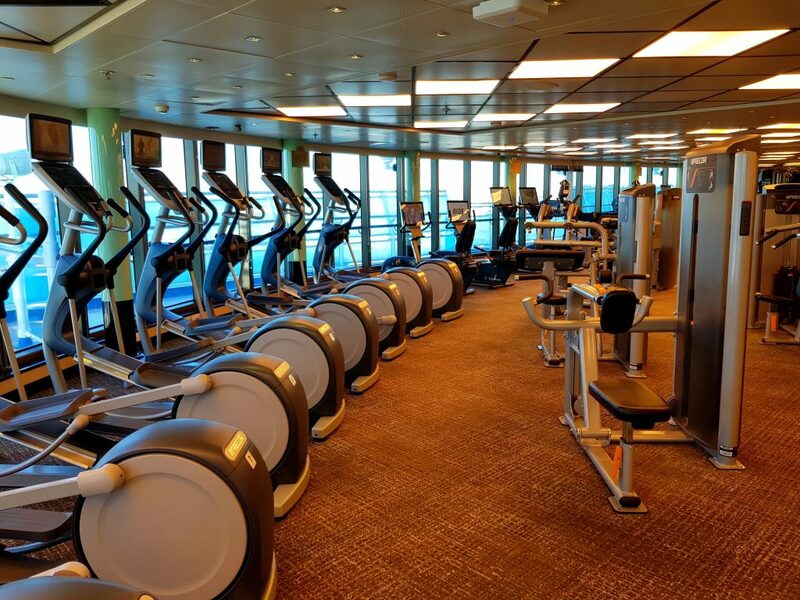 I had a good look around Sapphire Princess’ spa and fitness facilities during my visit. We watched a short 15-minute exercise class held by one of the personal trainers and enjoyed fresh smoothies, which are available to purchase for $5 from the open deck bar. Most classes are complimentary but some do incur a fee. There is ample floor space and the fitness class area is screened off from the main gym by glass, which gives guests a bit of privacy. The fitness centre has plenty of machines that cover everything from cardio to weights. It is well laid out and there are plenty of staff on hand to help, should you need it. We had a tour around the Asian inspired Lotus Spa treatment rooms, which included a couple’s space with private bath. The rooms were very tranquil and tasteful in terms of design. 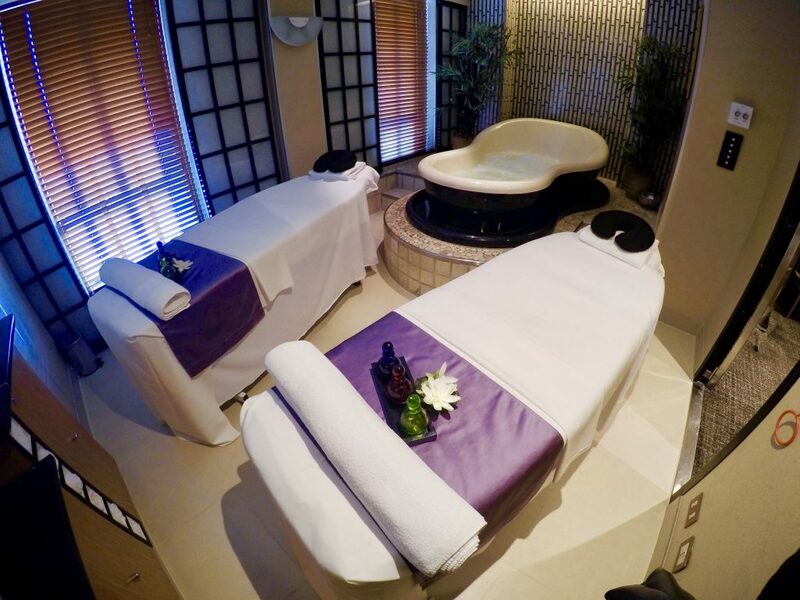 Guests can choose from a range of treatments such as facials, hot stone massages and detoxifying ocean wraps. As part of the event we were given a short massage, which was very relaxing. I had a bamboo massage, which originated in Thailand and is exclusive to Princess Cruises. I felt a lot less tense afterwards! The staff were extremely courteous and friendly. I really liked the thermal suite which costs approximately $20 a day to access, depending on the cruise. 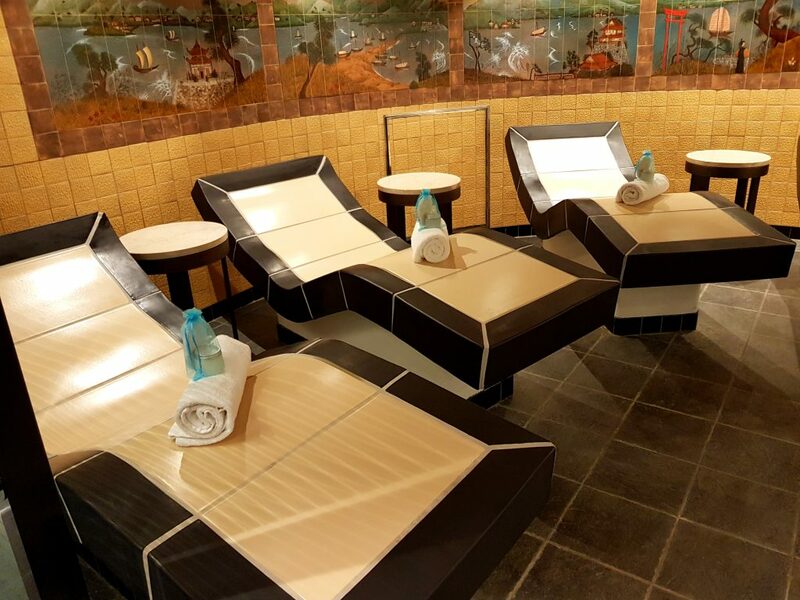 As well as a sauna and a steam room, there were several hot beds. The ship restricts access to the suite to a maximum of 40 guests per day, which stops the area getting overcrowded. 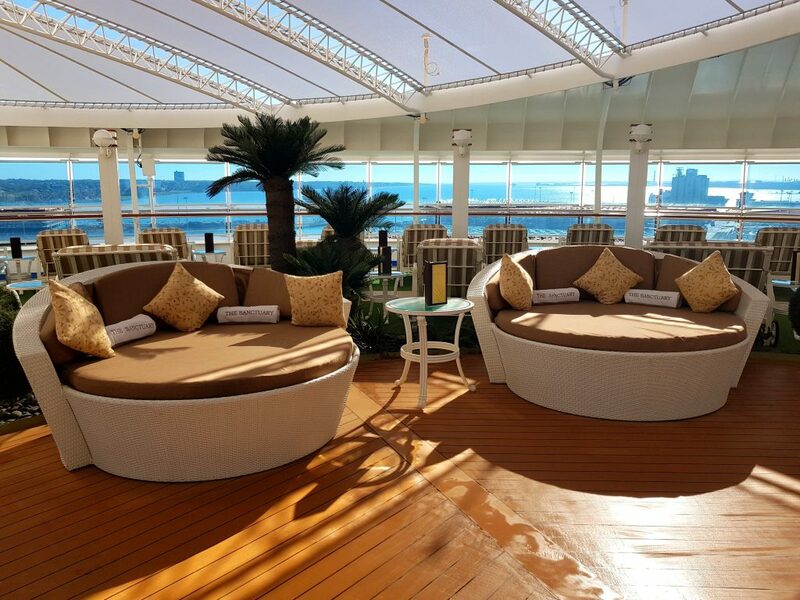 For an additional fee, guests can relax in The Sanctuary, an outdoor private adults-only retreat situated above the spa on deck 16. This space has a number of luxury sunbeds and cabanas, as well the option to have al-fresco massages and a light lunch. Nearby, guests can cool off in the adult-only swimming pool, which has two hot tubs. This space is almost identical the Oasis Pool and Retreat area on Ventura and Azura. If you are into fitness then it is worth me mentioning that there is a sports court and running track on board. 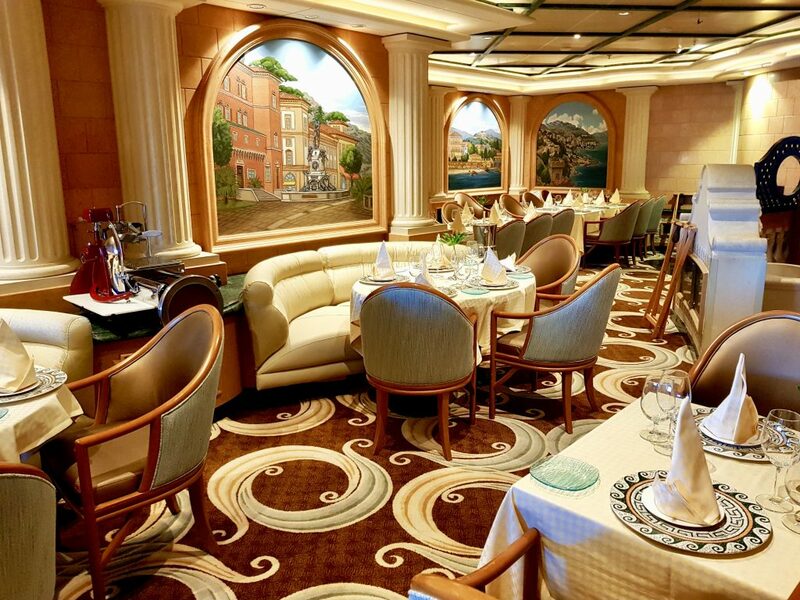 Sapphire Princess has a number of inclusive and speciality dining options. For flexibility, guests can opt for ‘anytime’ dining which allows you to eat between 5.30pm and 10.00pm. Bookings are not essential. Traditional dining is also available, for those who prefer more structure to their meal times. You can opt for early or late seating and you will be allocated the same table and waiter for the duration of the cruise. We had lunch in one of the five main dining rooms. 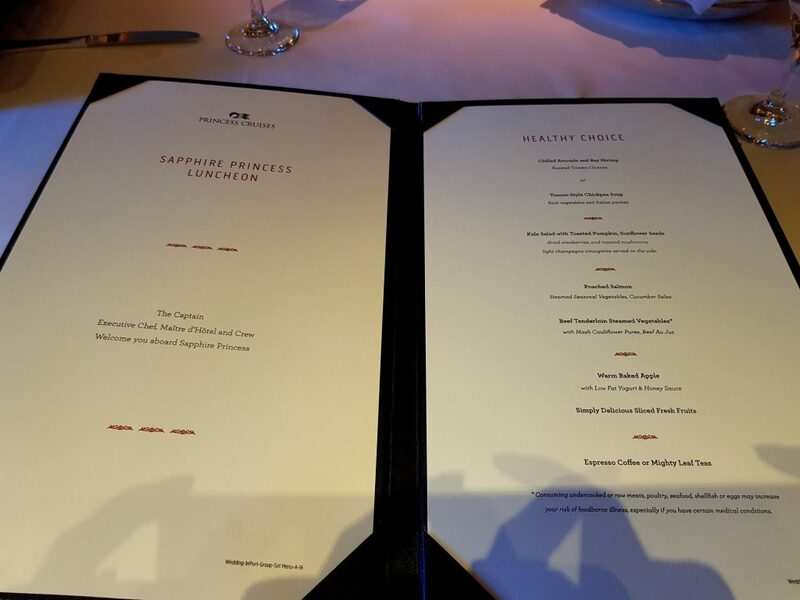 As part of the event, we dined from a healthy menu. 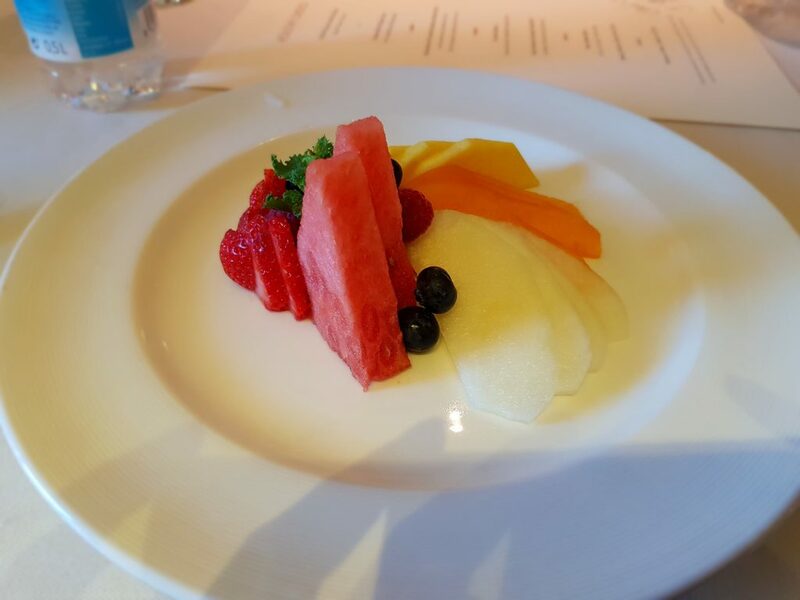 Guests can request healthy options at any time, although this menu was a one-off on the day. I had a delicious vegetable soup, followed by kale salad, salmon and fresh fruit. The portion sizes were generous and there was plenty of flavour in each dish. The salmon was a highlight for me, as it was perfectly cooked and very light. 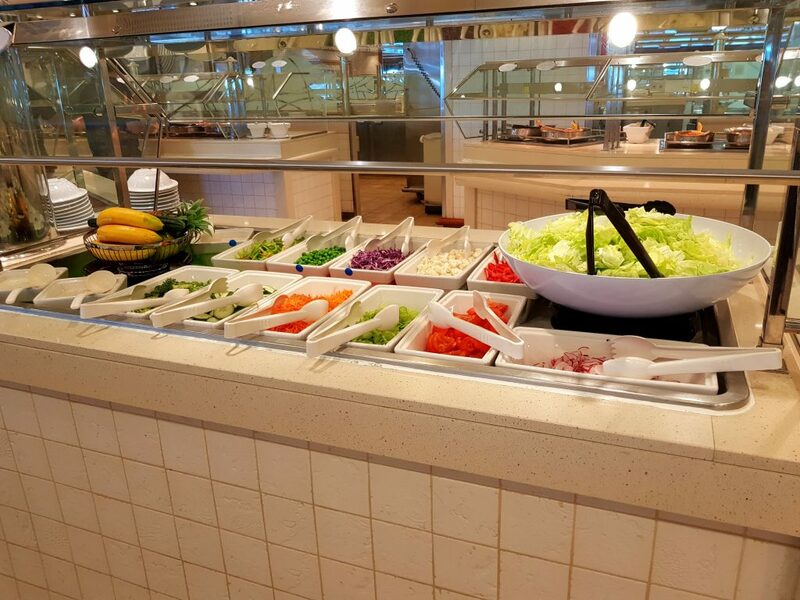 I really like the fact that Princess Cruises offer healthy options, as well as standard fare. Sometimes a big meal at lunchtime can feel very heavy, but this was refreshing and it didn’t leave me feeling guilty! The cruise line caters for dietary requirements, but it is worth notifying the ship of these upon boarding (or when booking a cruise). 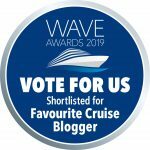 You may also be interested to know that each cruise there are a selection of dishes on the menu designed by award-winning chef Curtis Stone and chocolatier Norman Love. The International is the only dining room that is open for breakfast and lunch, as well as dinner, whilst Santa Fe serves afternoon tea. Enjoy delicious individually prepared fresh pizzas in this sit down restaurant named after chef Alfredo Marzi. Guests can watch their pizza being made in the open kitchen and there is a selection of beer and wine to choose from. International Café is the perfect spot for a morning speciality coffee and a fresh pastry and it’s situated in the Piazza. Food changes throughout the day. Expect to find everything from croissants, sandwiches and quiche to decadent desserts. 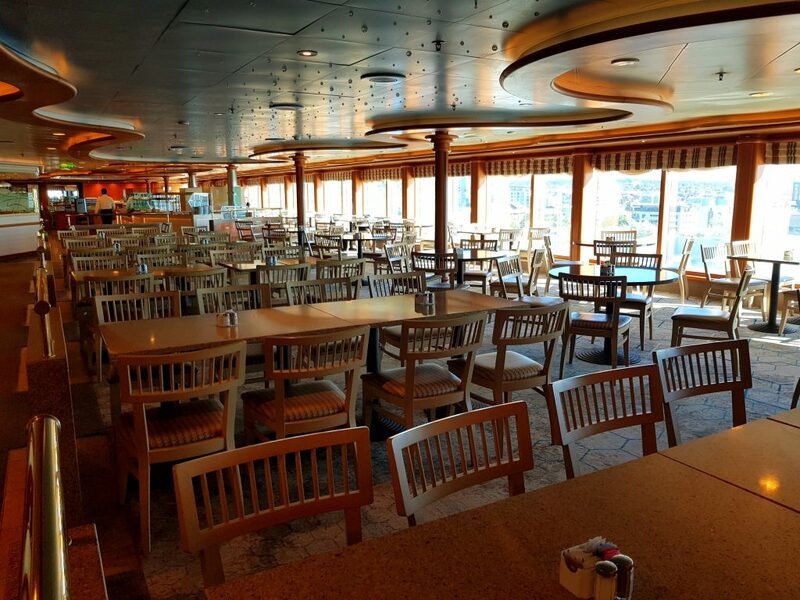 This is Sapphire Princess’ buffet restaurant, serving cuisine from around the world. 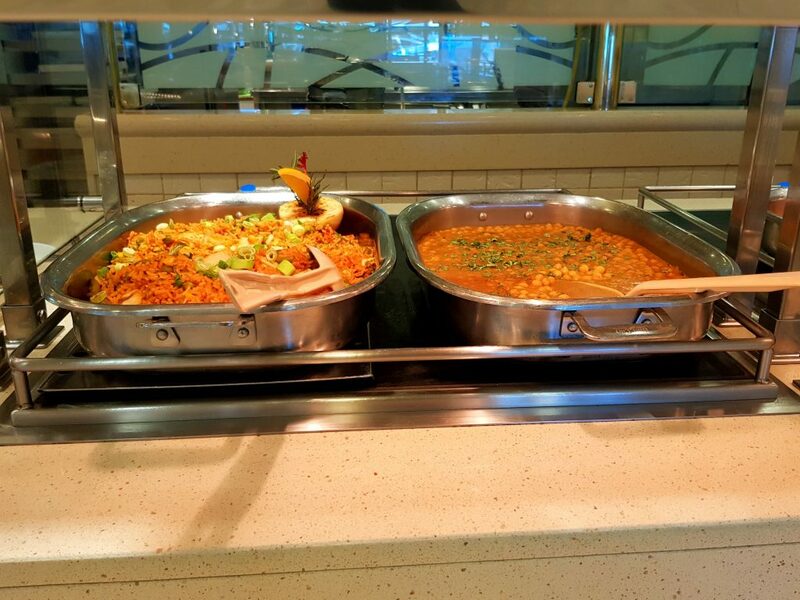 As well as hot dishes, guests can make up their own sandwiches and salads. This is the place to go for hot dogs and burgers out on deck. 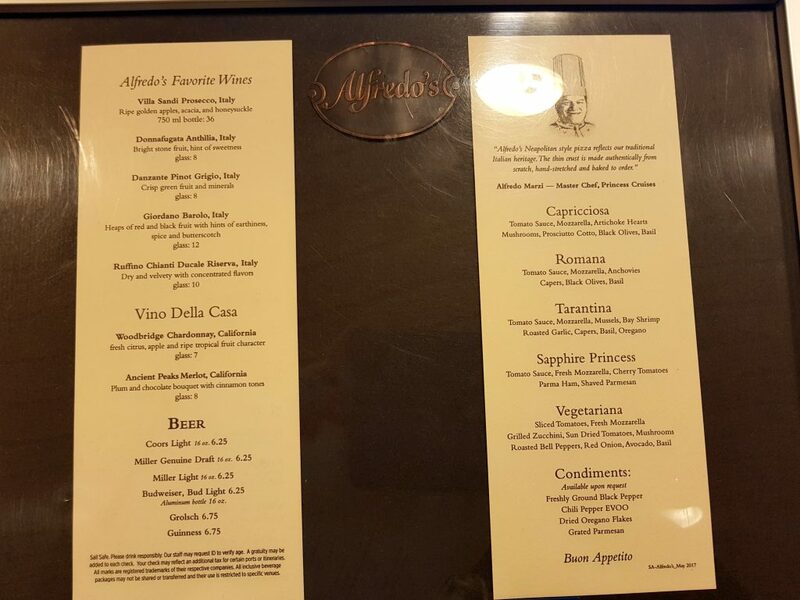 Sabatini’s serves traditional four-course Italian cuisine (think pasta, meat and seafood) in a tasteful setting. This steakhouse takes up part of the Horizon Court in the evening. 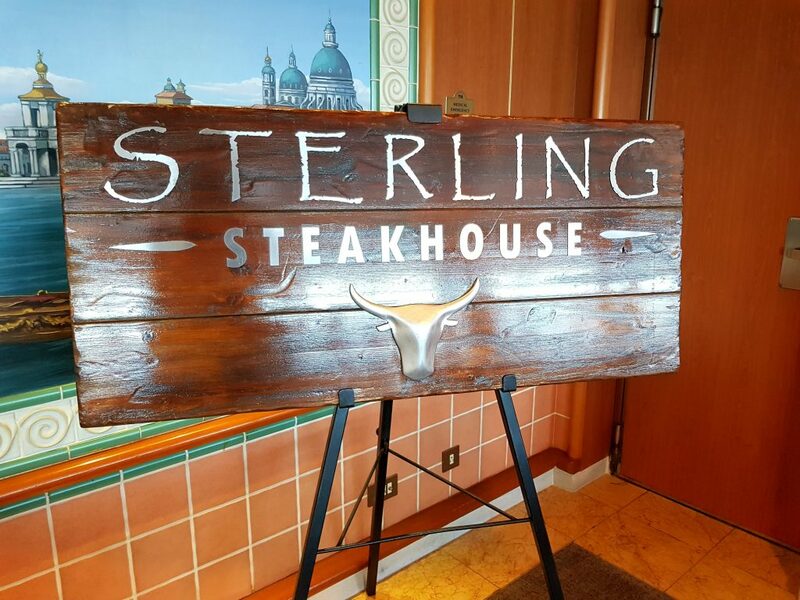 The menu consists of mouth-watering dishes such as steak and lobster and there are a number of sides to choose from too. 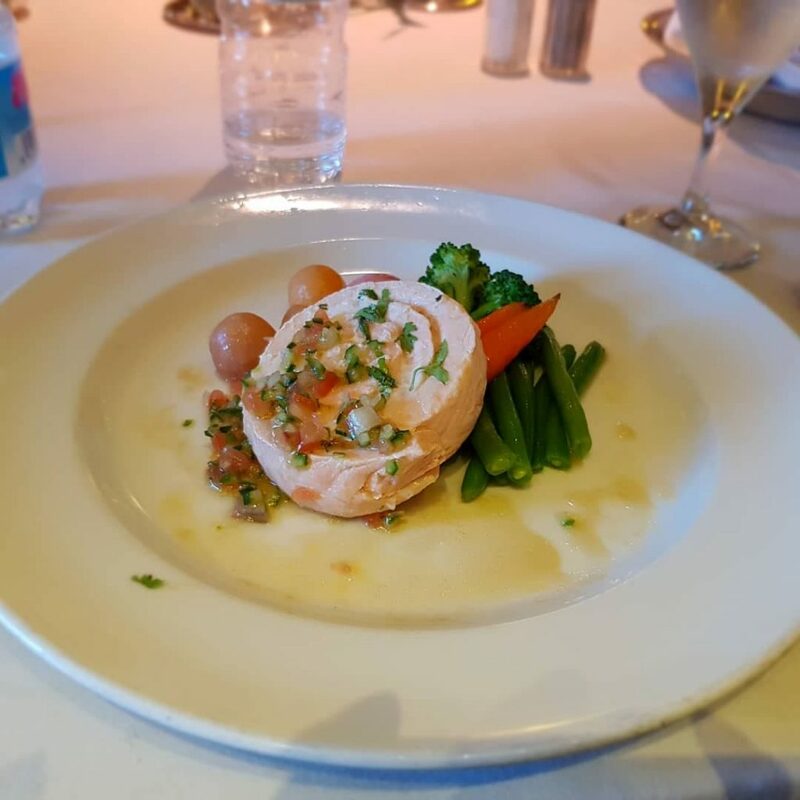 For something different, guests can try a specially designed menu by the executive chef. The evening includes a behind-the-scenes galley tour, six-course menu with wine pairing and an autographed copy of Princess’ cookbook. Vines – Wine enthusiasts will love this cosy wine bar in the Piazza which offers wine flights, wines by the glass, antipasti and tapas. Churchill Lounge – This is a great place for smokers to congregate in a pub style setting. Club Fusion – If you like karaoke, live music and dancing, then this is the venue for you. Skywalkers Nightclub – Situated at the very top aft end of the ship, Sapphire’s nightclub affords fantastic panoramic views of the sea below. 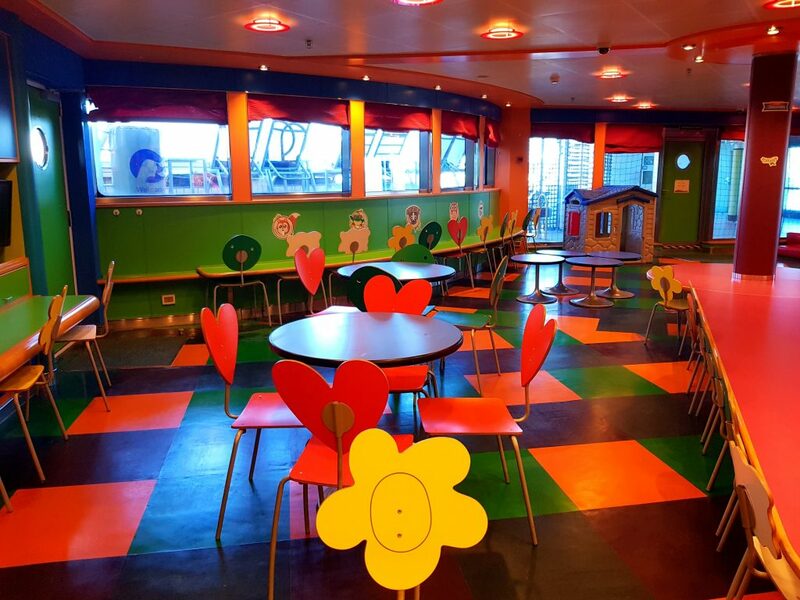 This is one of the best spaces on the ship and it is a great place to read a book during the day. Wheelhouse Bar – A nautical theme runs through the Wheelhouse Bar, which is located close to the theatre. Oversized leather armchairs, dark wood and live music make this a great place to stop for a pre or post show drink. 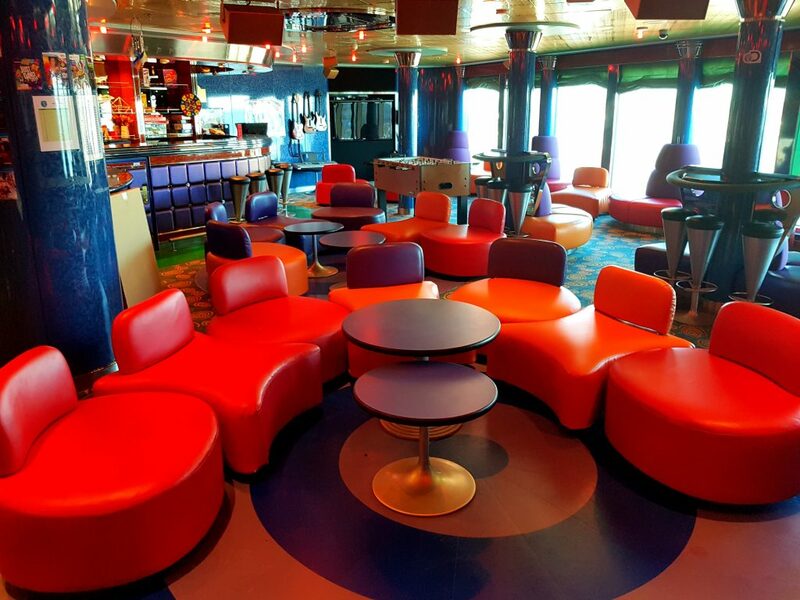 Explorers Lounge – This African inspired lounge showcases cabaret acts each cruise. 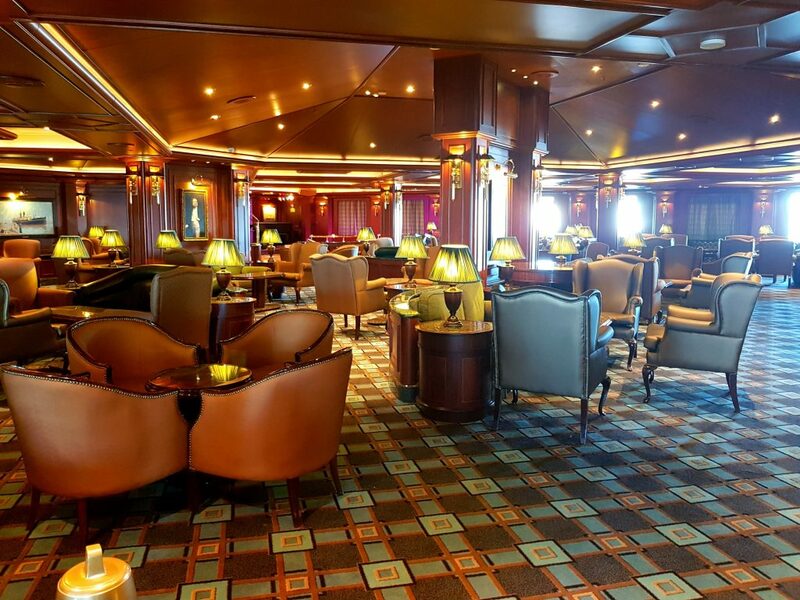 Crooners Bar – For an extensive cocktail menu and live pianist, head to Crooners Bar on the Promenade Deck. Princess Cruises have teamed up with Hampshire based gin distillery Bombay Sapphire to create a bespoke cocktail called Sapphire Princess (exclusive to this ship). The drink includes a generous measure of Bombay Sapphire gin, Prosecco and Blue Curacao. It will be available on UK sailings between April and October 2019. 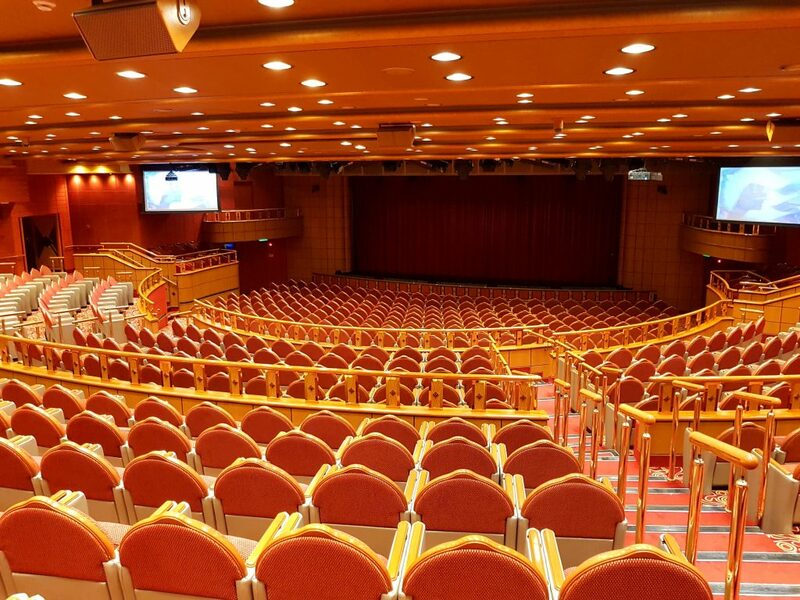 The Princess Theatre seats just over 700 people and features an LED light wall, which was installed during the 2018 refurbishment. The ship’s theatre company put on a number of productions inspired by some of Broadway’s biggest hits. 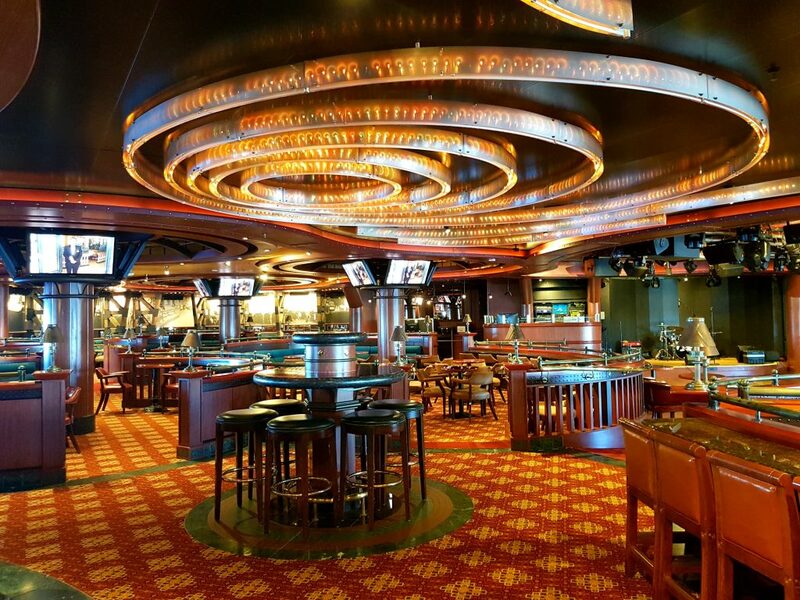 The ship also hosts guest entertainers and lecturers. 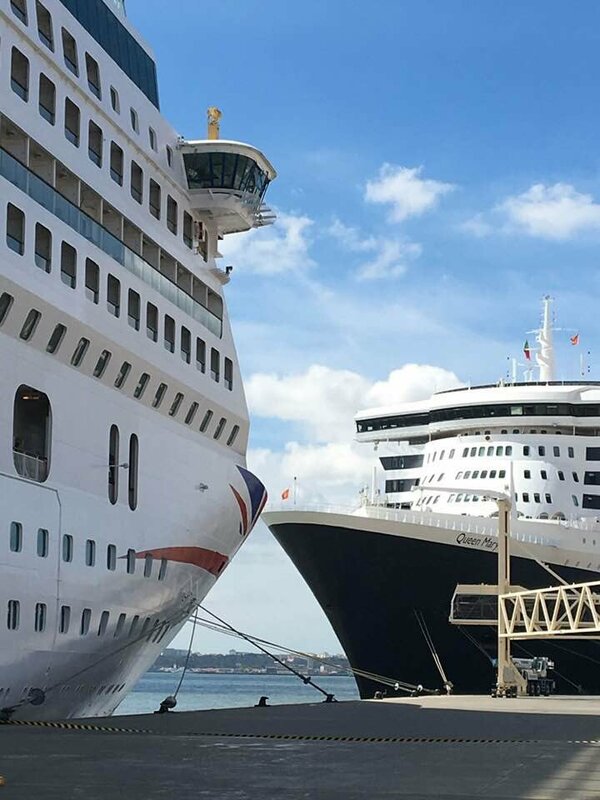 The cruise that departed Southampton on the day of our visit had celebrity speakers Ann Widdecombe and Jason Gardiner on board. 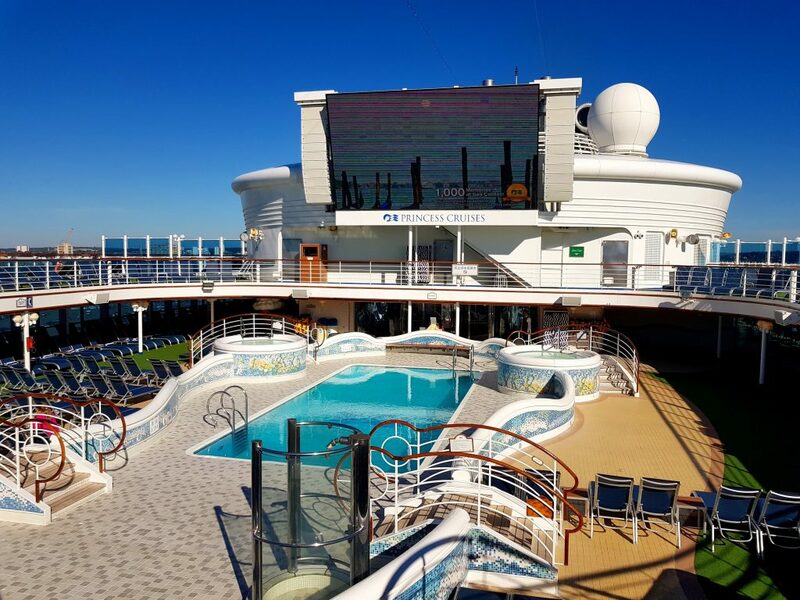 If you prefer the cinema to the theatre, the ship’s Movie Under the Stars screen shows films and sporting events each cruise. The giant screen is part of an open poolside amphitheatre where guests can curl up under a blanket with some complimentary popcorn in the evening. 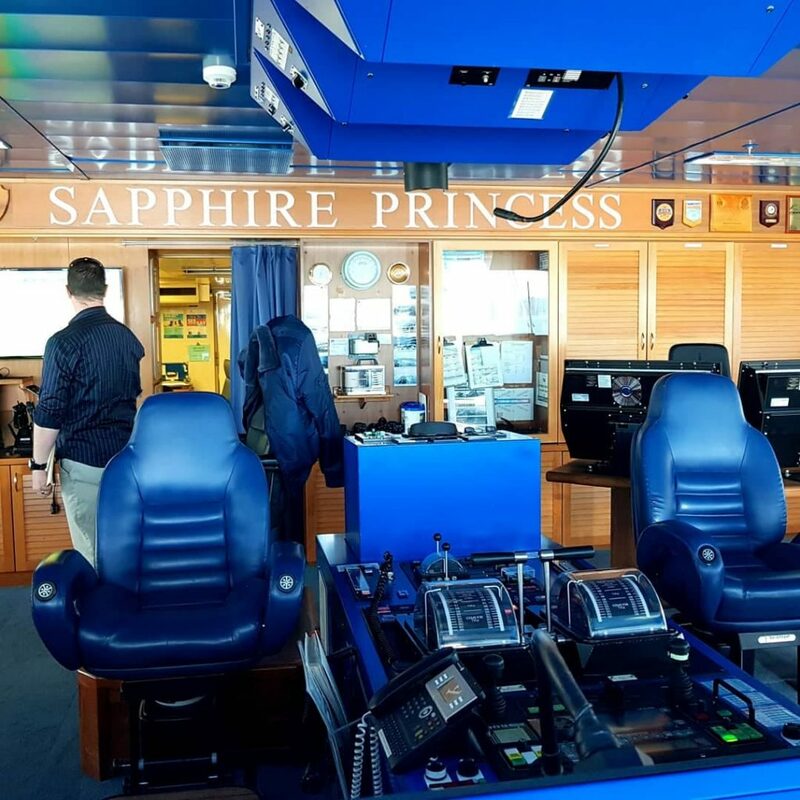 Sapphire Princess also has her own Grand Casino packed with gaming tables and slot machines. If you like retail therapy, there are plenty of onboard shops selling souvenirs, clothing and cosmetics. You can also pick up a photo at the Photo Gallery. The Calypso Reef and Pool is housed underneath a retractable roof by the main buffet, meaning you can swim in it even when it’s raining outside. The adults only pool (mentioned earlier) is located outside the Lotus Spa. 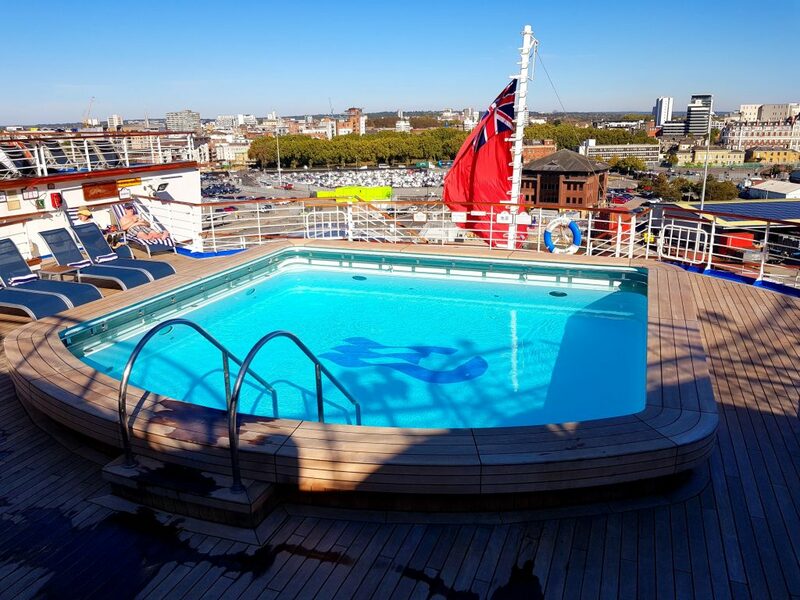 The Terrace Pool is located at the aft end of the ship and can be accessed through the buffet. 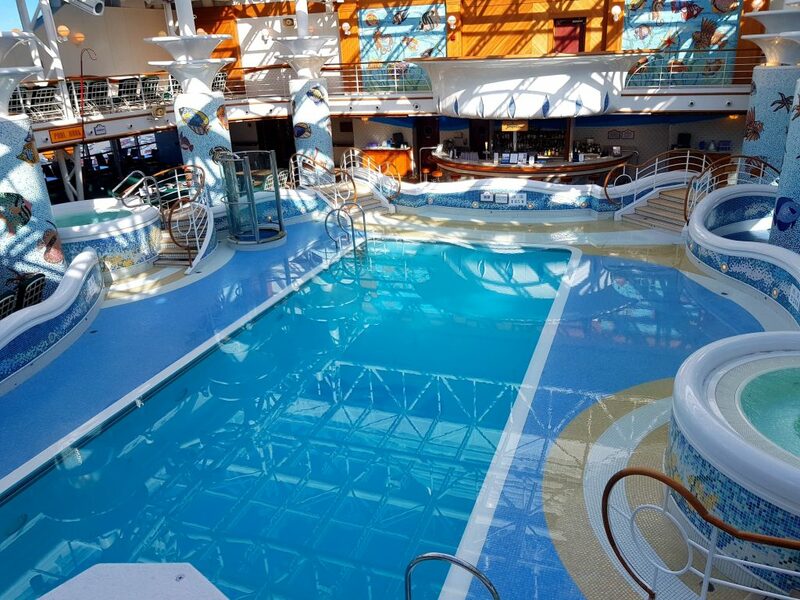 Families will love Neptune’s Reef and Pool towards the centre of the ship, which has plenty of sunbeds and lots of room to move around. 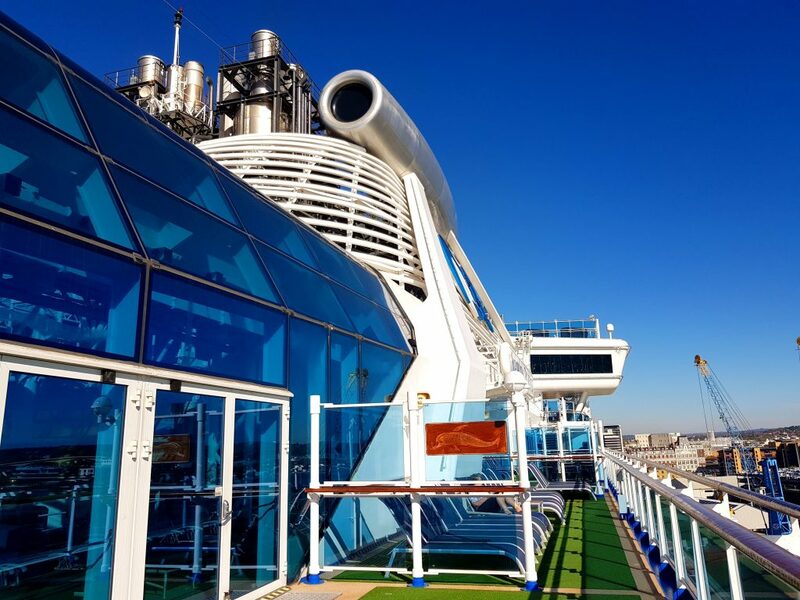 Sapphire Princess has a lot of sunbeds and ample deck space, but having a retractable roof also means guests can enjoy an indoor/outdoor experience even in bad weather. The Treehouse (3-7) – This bright forest-themed room has fun features like a soft play area. A small outdoor space has a splash pool so kids can cool off in hot weather. Children under the age of three can use this room as long as they are accompanied by an adult. The Lodge (8-12) – The Lodge is a light and spacious room with lots to keep children entertained, from air hockey to board games. Youth staff ensure there is an enticing programme of activities like rocket building, talent shows and theme nights. The Beach House (13-17) – This chill out space is decorated in bright hues. A large screen makes it the perfect spot to watch a late-night movie while a bar area allows teens to sample a mocktail or two. The space feels a lot more mature than the cruise ship teen clubs I went to growing up. One of the highlights of the day was a visit to the bridge. I thought I would share some photos from my visit below. 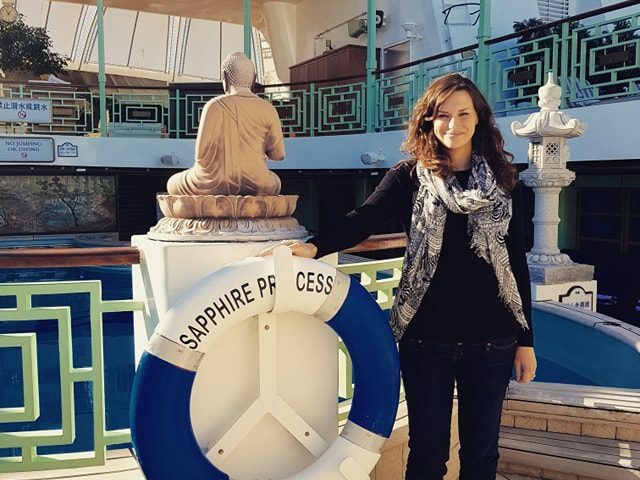 I really liked Sapphire Princess and Princess Cruises’ as a brand. 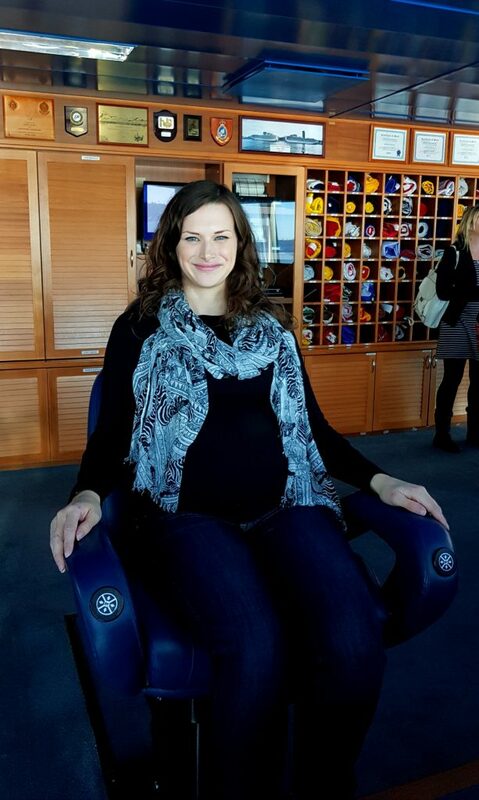 I felt very at home and the ship layout made a lot of sense to me. It was easy to find my way around and everything was well signposted. Staff were exceptionally friendly and they couldn’t do enough to help. The ship is obviously not the newest in the fleet, so some of the décor was dated in parts, but I think this added to her charm. 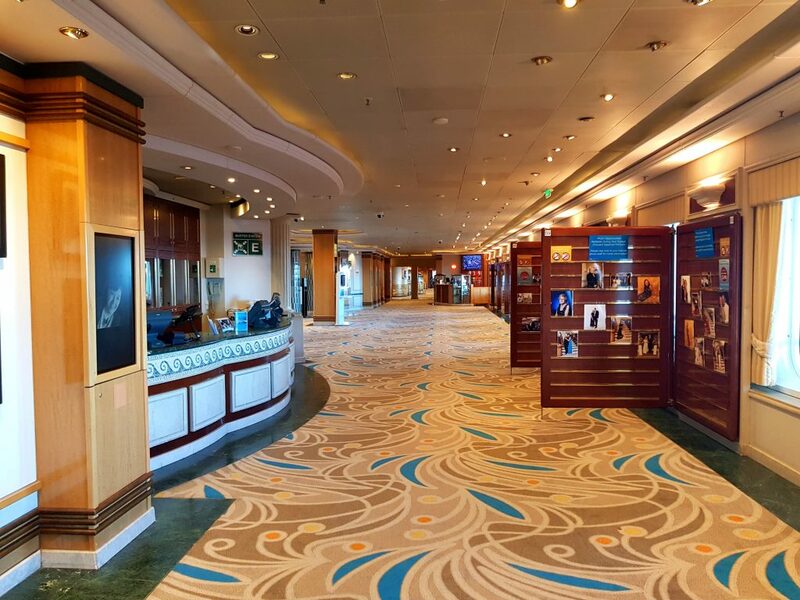 As far as first impressions go, I would class Princess Cruises as a slightly more upmarket version of P&O Cruises, with a more varied itinerary. Sapphire Princess is ideal for the British market, due to her itineraries and the fact that she sails out of Southampton. The entertainment also seemed to be tailored towards UK guests. 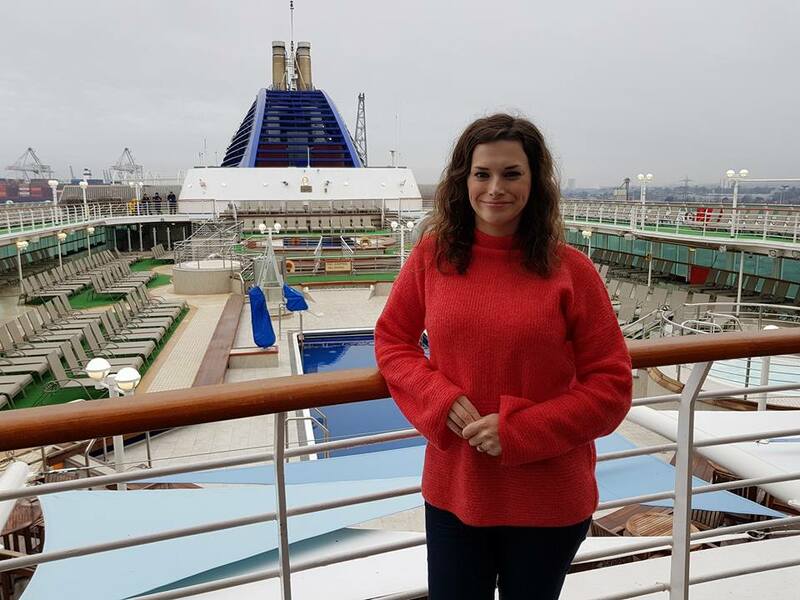 I would love to sail on a Princess Cruises ship in the future, particularly once we have had our baby (the children’s facilities seemed to be very good). They offer the perfect mix of family-friendly, without alienating couples or solo travellers. 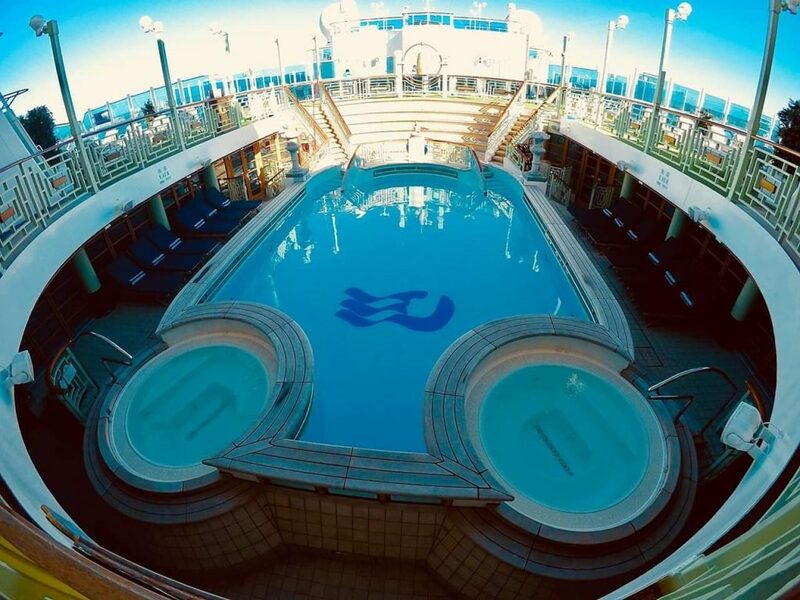 To sum up, they are a cruise line that appeal to people of all ages. 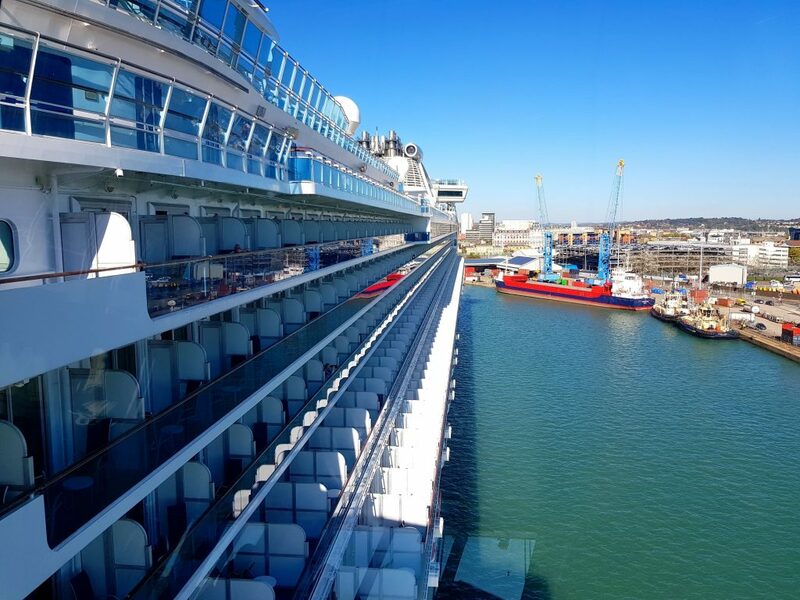 Sapphire Princess will be returning to Southampton in 2019, but if you are thinking about booking a Princess cruise from the UK, you may also want to consider looking at bookings for 2020, when three of their ships will be sailing out of the city. 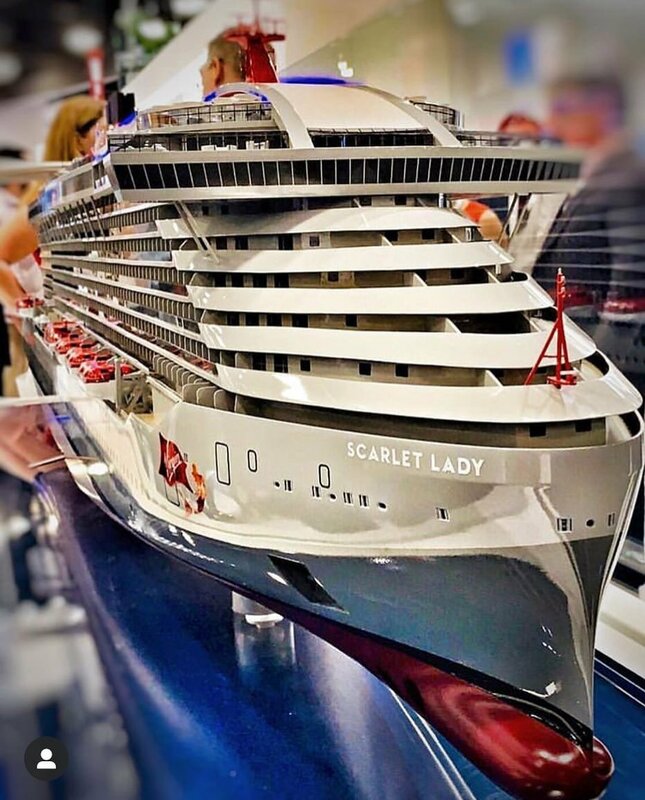 Their newest ship – Enchanted Princess – will also be launched in Southampton in 2020. 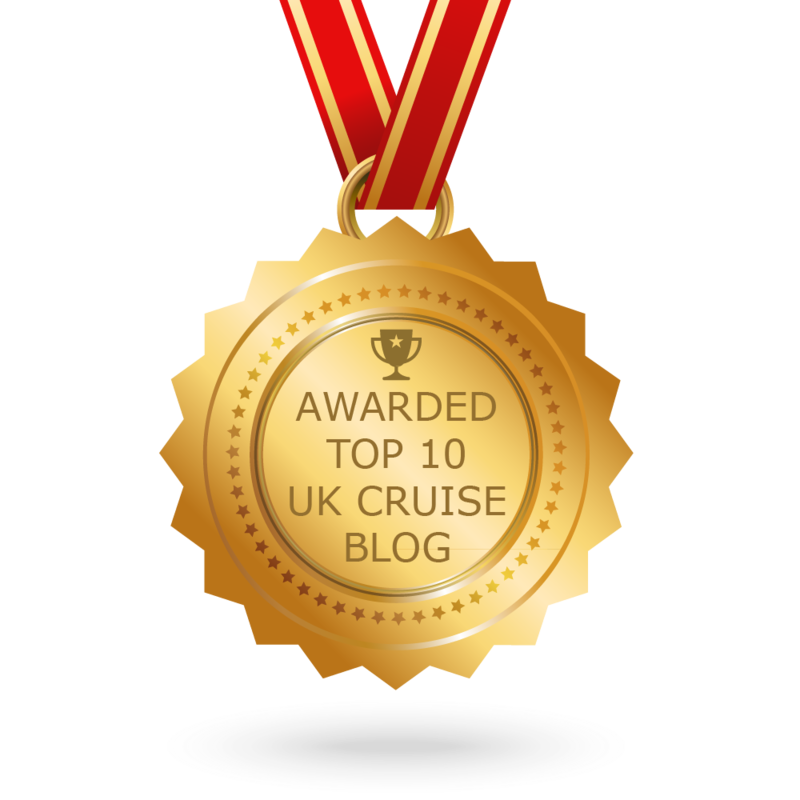 You can find out more about Princess Cruises on their official website. I’ve just found your blog through Simon Love’s LinkedIn page. Great review of Sapphire Princess. We sailed on her about 10 years ago round NZ and Australia. 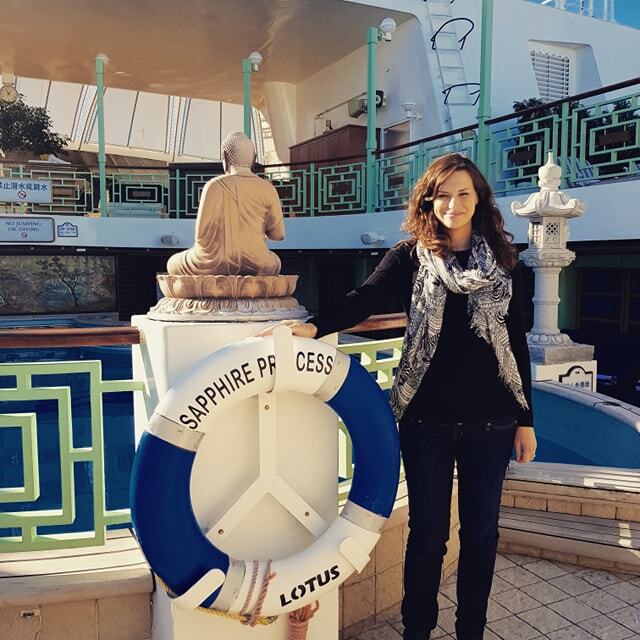 I write a blog when we are on a cruise. I started it in 2014 to keep family and friends updated on our whereabouts on Queen Victoria’s World Voyage.